Iran's Foreign Ministry has summoned the Swiss envoy to protest US allegations of Tehran's involvement in a plot to assassinate the Saudi ambassador to Washington. 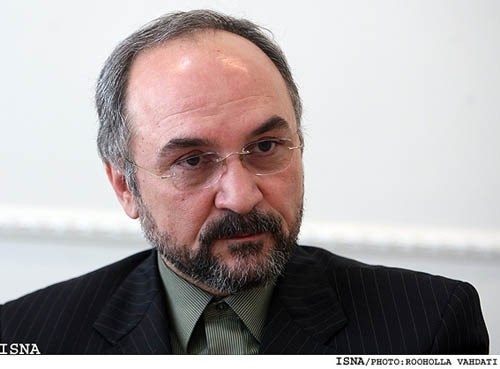 During the meeting, head of the North America Bureau of the Iranian Foreign Ministry said since the victory of the Islamic Revolution Iran has been among the main victims of the terrorist activities of terrorist groups sponsored by the United States. “Iran, therefore, condemns the baseless claims made by the US government... and warns against the repetition of such politically motivated allegations,” a Foreign Ministry statement said on Wednesday. The Swiss charge d'affaires assured the Iranian official that Iran's message would be conveyed to Washington as soon as possible and that a response would be relayed to the Iranian Foreign Ministry. The Swiss Embassy in Tehran also functions as the United States interest section. Tehran says the media hype created by Washington is an attempt to deflect international attention from the intensifying anti-corruption and anti-corporatism protests in the country. The US is the main supporter of Saudi Arabia -- one of the most repressive and undemocratic regimes in the world. Iranian Majlis (parliament) Speaker Ali Larijani has censured the United States for engaging in a 'tactless and childish game' against the Islamic Republic. A senior Iranian lawmaker has described the latest US claim against Iran as Washington's psychological projection of the surging anti-capitalism protests in the United States.